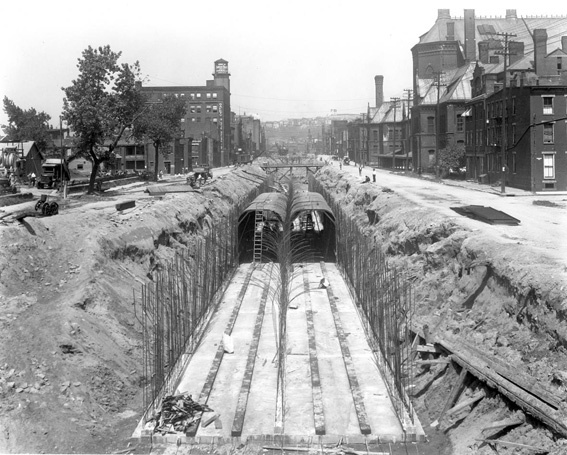 As the month of October begins, so too begins a new project for the Archives and Rare Books Library – digitizing and making available on the web the collection of negatives and prints documenting Cincinnati’s early 20th century subway development and street improvement program. New projects often require new hands to help facilitate, and it is my pleasure to join this project as Digital Archivist, marking my own beginning as I strike out on a new project in a new city. A recent transplant from Columbus, Ohio, where I assisted with several digital publishing projects, I earned my MA in Archives/Special Collections from Wright State University in 2011, and a BFA in Photojournalism from Ohio University (a “few” years before that). I’m very excited to assist the University of Cincinnati with an archival project that will make available the rich history of this city’s early urban development and provide a glimpse into daily life in the city through the digitization of this collection’s photographs and negatives. Over the coming months, I will be blogging on many of the images found in the collection, ranging in date from 1920 to 1956, as it is prepared for digitization and online exhibits are developed. I invite you to join me on this sojourn around Cincinnati during the first half of the 20th century, to learn new things and perhaps clarify old myths and legends. 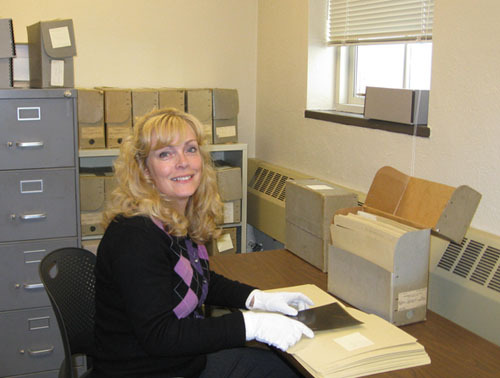 To learn more about the grant, please go to: http://www.libraries.uc.edu/information/news/pressrelease/1213/subwaygrant12.html, and to discover more about the holdings of the Archives & Rare Books Library, please contact us at 513.556.1959, archives@ucmail.uc.edu, or visit us on the web at: http://www.libraries.uc.edu/libraries/arb/index.html.